Nokia is back. It has embraced Android and it’s got a Snapdragon 835 flagship phone to compete with the big guns like the iPhones, Galaxies and Pixels. Welcome the Nokia 8. 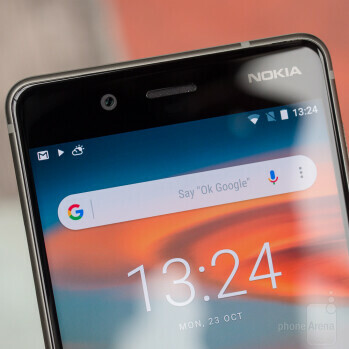 Nokia has built its flagship smartphone following a few simple principles: keep Android clean and bloatware-free, deliver good performance, and provide timely software updates. In many ways, the Nokia 8 is a “stock” Android _phone_ done right, with little flare except for that new “bothie” camera mode. There are a few things to keep in mind, though: the Nokia brand is now licensed to HMD Global: a different company with some Nokia executives at the helm, but it’s no longer that huge giant out of Finland with its own manufacturing plants. Secondly, while the Nokia 8 does feature hardware on the level of Samsung’s and Google’s best phones, it’s sold for a much lower price than the Galaxies or the Pixels. So how good is the Nokia 8 and does it live up to the expectations? Let’s find out. Solid aluminum build quality with some curves for a better in-hand feel, but no water proofing. The Nokia 8 is a _phone_ with a 5.3” screen of a traditional 16:9 aspect ratio. Its big bezels on the top and the bottom seem unnecessary and make it look a bit dated compared to all the “edge-to-edge” flagships out there. But what Nokia did right is the screen size. While many phones go with larger and larger displays these days, a 5.3” screen was picked for the Nokia 8 – a tad bit below the average, but of big benefit to actual comfort and ease of use. The Nokia 8 is not too big to carry in a pocket and not too big to do some things on it with just one hand. 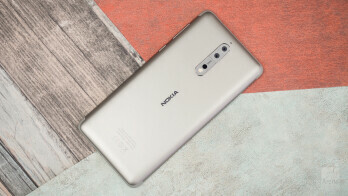 Nokia takes pride in the construction of the 8: it’s made of aluminum with very nice curves at the edges that make a big difference in terms of in-hand fit and feel. It’s not quite as sleek as say the OnePlus 5 and it does not feel as well made, but it’s not too far behind either. Up front you have a tiny home key with a fingerprint scanner built in it. 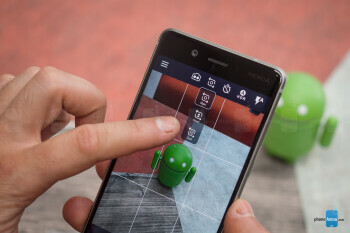 It’s our first gripe with the Nokia 8: it’s too small and not as accurate as on other phones, so I often had to press it a few times and re-position my finger to get it to work. Those are all issues related to its too small size. Then we have the recents key on the right and the back key on the left, and there is no way to change their places. Unfortunately, there is no water-proofing on the Nokia 8, so be careful not to get it wet. On the bottom there is a single USB-C type port for charging and – thankfully – a headphone jack. The 5.3” screen might be sharp, but colors are cold and dull. The Nokia 8 ships with a 5.3” IPS LCD screen with Quad HD (1440 x 2560 pixel) resolution, which looks very, very sharp. We’ve already mentioned the situation with the big bezel on the top and bottom, it definitely looks outdated. The screen is the traditional 16:9 size, so most videos fit perfectly, without any black bars or cropping. How about the actual quality and the color reproduction, though? They are not great. In fact, among the top phones out there, we’d say that the Nokia 8 ranks worst. Colors are very cold, the screen looks a bit dim and lacking vibrancy. There are no additional color modes, no fine settings, so what you see is what you get, and the screen is definitely one of the weaker spots in the Nokia 8. On a positive side, it does get very bright, peaking over 700 nits, which helps a lot for outdoor visibility (but does not matter much for anything else). The display also has something like an “always-on display” function that shows you the date and how many missed notifications you have and from which app. Unfortunately, text on the screen is too dim in this mode and it’s very hard to see, rendering the option nearly useless. 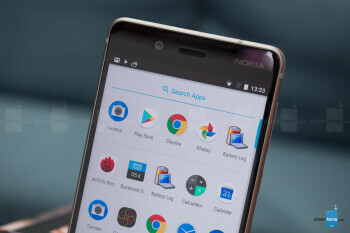 Nokia has built its flagship smartphone following a few simple principles: keep Android clean and bloatware-free, deliver good performance, and provide timely software updates. In many ways, the Nokia 8 is a “stock” Android phone done right, with little flare except for that new “bothie” camera mode. The Nokia 8 is a phone with a 5.3” screen of a traditional 16:9 aspect ratio. Its big bezels on the top and the bottom seem unnecessary and make it look a bit dated compared to all the “edge-to-edge” flagships out there. Android 7.1.1 Nougat is clean and bloatware-free. Also, a bit boring. Clean and bloat-free describes perfectly the Android 7.1.1 experience you get with the Nokia 8. But also… a bit bland and boring, quite frankly. Stock apps look a bit dated as well: the gray notification dropdown is particularly depressing, but so is the clock app, and we could not find essential options like displaying a battery percentage instead of a classic battery-shaped indicator. Excitement here is replaced with the promise of timely future updates and smooth performance, which is great, but it definitely feels like some apps here lack a bit in terms of polish and visual styling. Speaking of apps, there is one app in the interface that you should know about: that’s the Support app by Nokia. 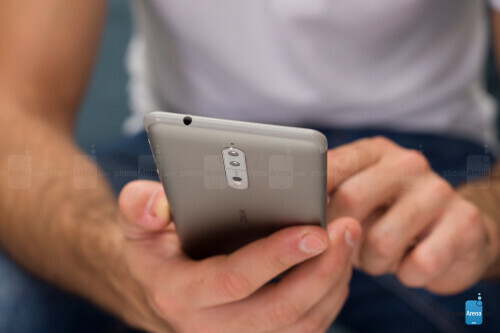 This is where you can chat with a Nokia agent and get support, find the nearest care center and check the user guide, as well as see answers to commonly asked questions. One particular aspect of the experience we found annoying was the vibration. 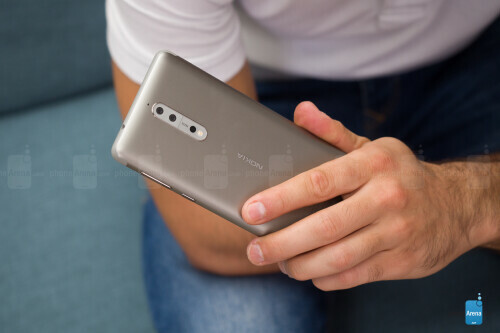 We are usually not much concerned about the details of vibration feedback on phones, but the Nokia 8 vibration seems a bit forced and it often fires as a result of you accidentally touching the fingerprint while the phone is in your pocket. Snapdragon 835 is the biggest asset of the Nokia 8. It’s a great performer. Having the best chip on Android at the moment – the Snapdragon 835 – on the Nokia 8 is a delight and one of its biggest advantages. There’s 4GB of RAM on board as well. The performance takeaway is this: the phone runs fast and smooth, but not quite as smoothly as some other high-ends, such as the excellent Google Pixels. The Nokia 8 we have up for review comes with a hybrid dual SIM card slot, so you can choose between using two SIM cards or one SIM + one microSD card. In terms of storage, you get the standard 64GB on-board storage and the option to expand via microSD cards is nice. For its price, the amount of storage is plentiful. No LTE bands for the USA. 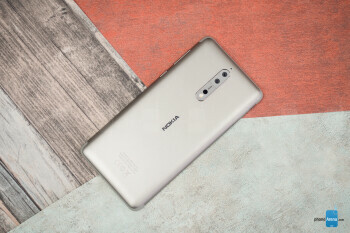 The Nokia 8 is not officially sold in the United States, and it does not support the needed 4G LTE bands, so even if you go through the pains of importing it, do not expect to get proper 4G LTE connectivity. In Europe, the Nokia 8 has all required 4G LTE bands, including band 20, so it works flawlessly. To access the web, you have Google Chrome on board as the one and only browser – an app Android users should be familiar with already. Other connectivity options include dual-channel Wi-Fi, Bluetooth 5.0 and NFC, but there is no FM Radio, in case you were wondering. An unintuitive camera app and disappointing photo quality. 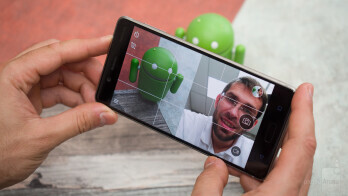 A camera can make or break a modern smartphone. 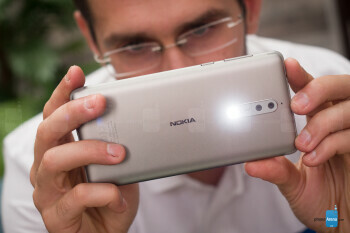 When you have the names Nokia and Zeiss optics, the expectations are set even higher. The Nokia 8 features a dual rear camera system with one 13-megapixel camera that records color and a secondary, monochrome one that is more sensitive to light. 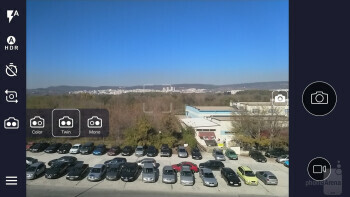 When you combine the frames from the two, you end up with the final photo of the Nokia 8. This is also the same method that Huawei uses in its phones, if you were looking for parallels. Note that there are no separate “telephoto” lenses for zoom or portraits here. The bad news is that the Nokia 8 camera app is clunky and weird. A simple thing like switching to the front camera to take a selfie is hidden in menus and you have to tap multiple times to do it. There is another menu that allows you to choose whether you want to use just the color, just the black and white, or both rear cameras, but does not explain what are the actual differences between using the color camera versus using a combination of both the color and the mono sensor. There are two buttons one on top of the other and both look like a shutter key, but guess what: only one is the actual shutter key, while the other changes shooting modes. At that, all the icons look as if they were coming from a 90s interface. It’s all absurd and confusing, and gets in the way of taking good pictures. Taking and processing a photo is also slower than on most other modern phones. Here is a tip: double click the lock key to quickly start the camera. There is one bright spot, though: live video. You can start a YouTube or Facebook livestream straight from the camera, which is a nice convenience. Though you need to log in to your social media account first. How do photos actually turn out? The Nokia 8 camera is just okay and it is a long shot from the quality that you can get with an iPhone, Samsung Galaxy, or even the OnePlus 5. We went shooting with the Nokia 8 and brought an iPhone and a Galaxy Note 8 for comparison, and the Nokia 8 was noticeably slower than those two. A lot of the photos we took with the Nokia 8 look underexposed, dark, and that’s the biggest issue with them, but not the only one: they also often have dull, muted colors. At dusk and at night, the Nokia 8 often completely failed to capture a proper picture, severely underexposing pictures. This, combined with the slow focus, make the Nokia 8's dual shooter one of the worst cameras on a flagship-grade phone in 2017. The front camera is okay, but nothing to write home about. It lacks in sharpness, but does good with colors, does not blur out skin tones like Samsung phones do and is not too wide, so there are no distortions in the picture. Also, it records 4K video! 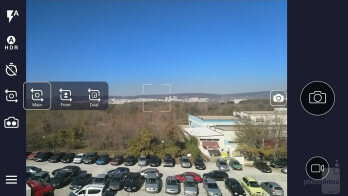 This is the first front camera in a phone that we see capable of this feature. Keep in mind, though, that the front camera is definitely nowhere nearly as good as the already sub-par rear camera. So… the Nokia 8 has a secondary monochrome camera – an underappreciated feature, in our opinion. When colors are muted or chaotic, it’s a great idea to try shooting black and white for a more artistic look. The built in black and white rendition is also a bit underexposed, but not too much. It looks nice, with lots of detail and good contrast. You can also blur the background in pictures you take on the Nokia 8 for a simulated “portrait mode” effect. Bothies is the affectionate name given to collage pictures taken with both the front and the rear camera. There should have been an easy one-button way to switch to bothies in the camera app, but even overlooking that, the feature is mostly a gimmick. Usually when you take a picture of something, you take a picture because you find it funny and/or exciting, but you rarely think about the way you look while taking that picture. We tried to get creative, but bothies just do not seem like a feature that you would use regularly. We don’t mind having it, but we don’t think it contributes to the camera experience in a meaningful way. The Nokia 8 can record 4K video at 30 frames per second on both the rear and the front camera. 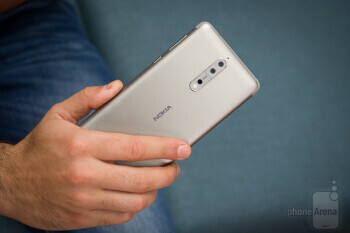 Most phones, including the top Samsung and Apple devices, actually cannot record 4K using the front camera, so the Nokia 8 beats them at that game. We love having the option for a quick vlog since 4K looks sharper and more detailed. You don’t get any choice of frame rates, though: there is no 1080p at 60fps, and we miss that. Recording at 60fps looks better in most cases, but especially for motion. You have a single bottom-firing loudspeaker on the Nokia 8. The position is a bit awkward and you can easily muffle it when you hold the phone, but the quality is actually above average. The Nokia 8 speaker can get louder than many phones out there and while it lacks a bit in depth, it does get fairly clean overall output that makes it stand out in a good way. There is a 3.5mm headphone jack on board, though, which both of the aforementioned phones lack, so that’s definitely nice. You also have proper Bluetooth 5.0 support for high-quality sound when you use compatible wireless headphones. 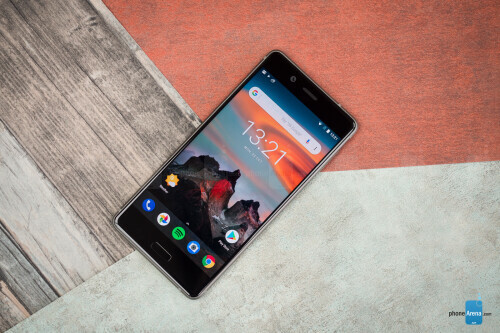 We have had no issues with call quality on the Nokia 8 as voices in the earpiece are sufficiently loud and clear, easy to recognize with their natural tonality, and the mic output is also crisp and clear. Nokia 8 will last you a day without breaking a sweat, but not more. The Nokia 8 comes with a 3,090 mAh battery, right around the average for a 2017 flagship of this size. Our impressions are that it lasted a solid one day and even a bit more. It's a solid battery performer. 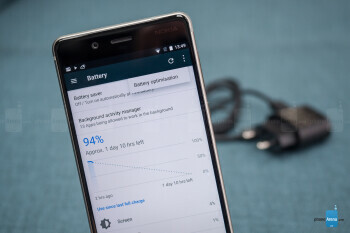 We also ran our battery life test on the Nokia 8 and found that the phone lasted nearly 9 hours on a single charge, a good result that is not too far from the scores of the Galaxy S8, iPhone 8, Pixel 2 and OnePlus 5. 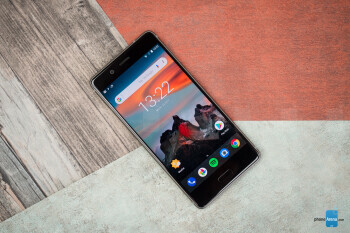 The rise of phone prices is particularly painful in Europe, and looking at the prices comparatively, you can definitely see that the Nokia 8 offers the best value for the money in terms of pure hardware, especially now that the OnePlus 5 is no longer available. To your average phone reviewer, the Nokia 8 is in many ways a boring phone. It does not have any flashy features, and its bothie camera mode is a gimmick. It lacks personality, it’s just another Android phone. 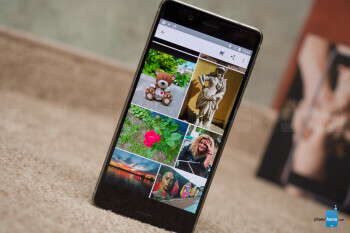 But to most people looking to upgrade from an older phone, the Nokia 8 is much more than that: it’s a great value offer when you compare it with other flagships, and you can buy two Nokia 8 phones for the price of one Galaxy Note 8. And the Nokia 8 excels in daily use with smooth performance throughout. 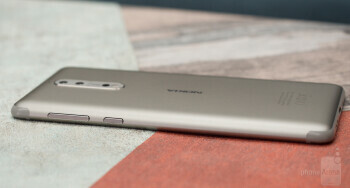 At the end of the day, the Nokia 8 does not even seem like a “true” 2017 flagship, despite that Snapdragon 835 inside: the screen looks dull and with needlessly big bezels, the camera is slow and quality is not on par with the best, the fingerprint is less accurate than on most other expensive phones, there is no water-proofing and the experience is bland. 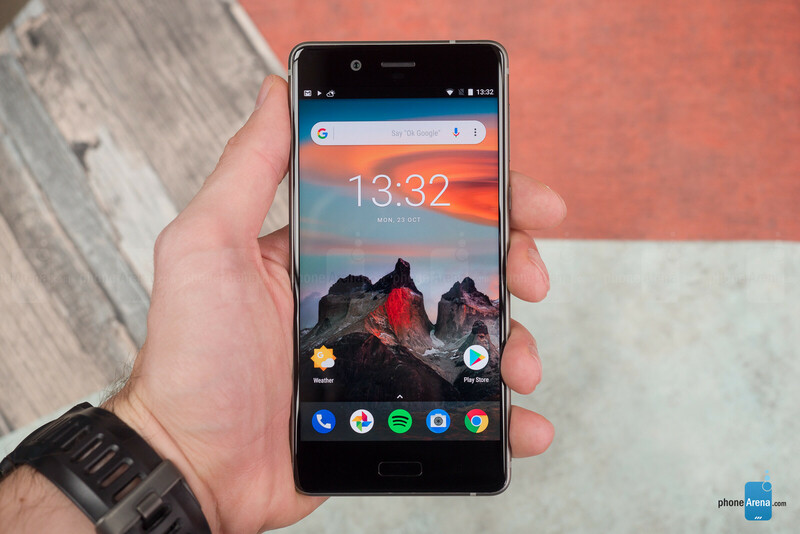 If you don’t mistake it for “the next big thing” and just accept it as it is - a great value Android phone – the Nokia 8 is a safe choice that will do what a phone does well. But it’s hard to recommend it with so many other excellent phones to choose from.